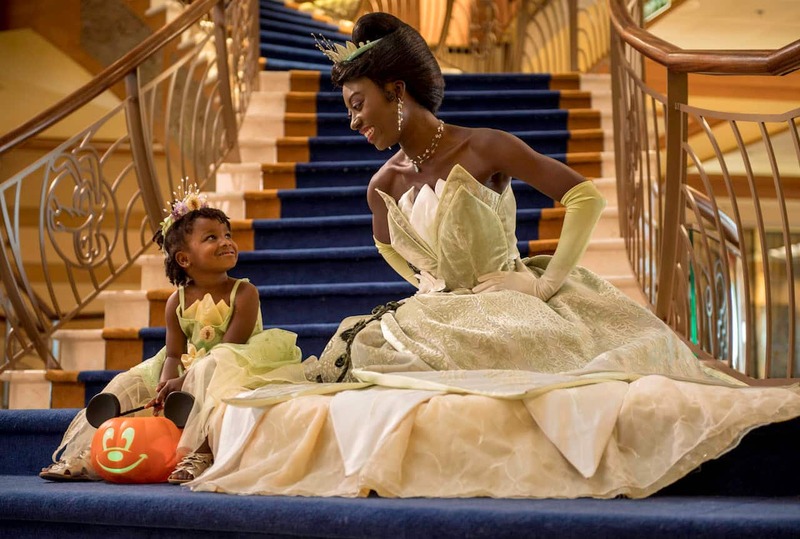 Have you heard about all the magical mischief in store for Disney Cruise Line guests this fall? 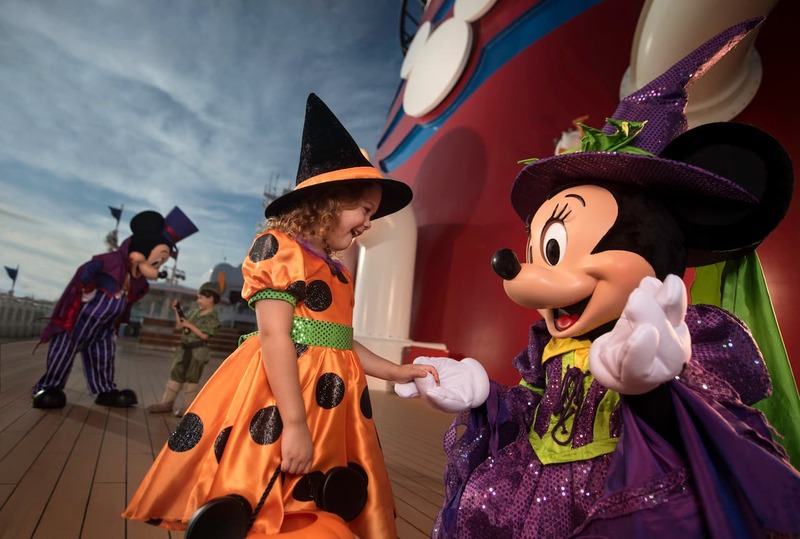 Beginning in September, each Disney cruise ship will be transformed into a ghoulish wonderland for another season of Halloween on the High Seas cruises, an extra-spooky celebration packed with haunted tricks and fun-filled treats for the whole family! Mickey’s Mouse-querade Party, a super-fun family costume party with games, dancing and lots of candy! A Nightmare Before Christmas – Sing and Scream, an interactive singalong movie experience followed by meet-and-greets with Jack and Sally. Haunted Stories of the Sea, where a mysterious sea captain tells campfire-style ghost stories on the upper deck beneath the eerie glow of the night sky. Halloween Isn’t Just For Kids, a special celebration just for adults where the nighttime entertainment district becomes the setting for a costume contest and a Villainous Takeover on the dance floor. 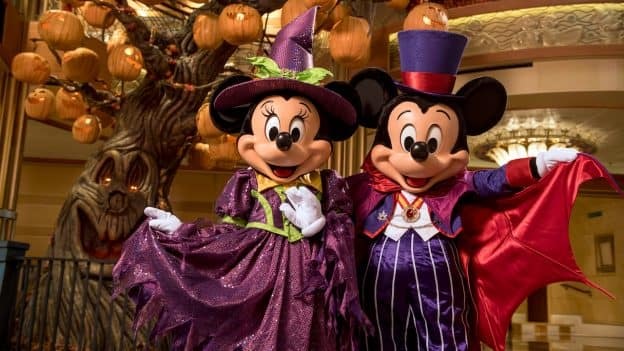 Plus, with costumed character greetings, special Halloween treats and a magical Pumpkin Tree, the not-so-spooky memories are sure to stay with you for years to come. How wicked is that?! 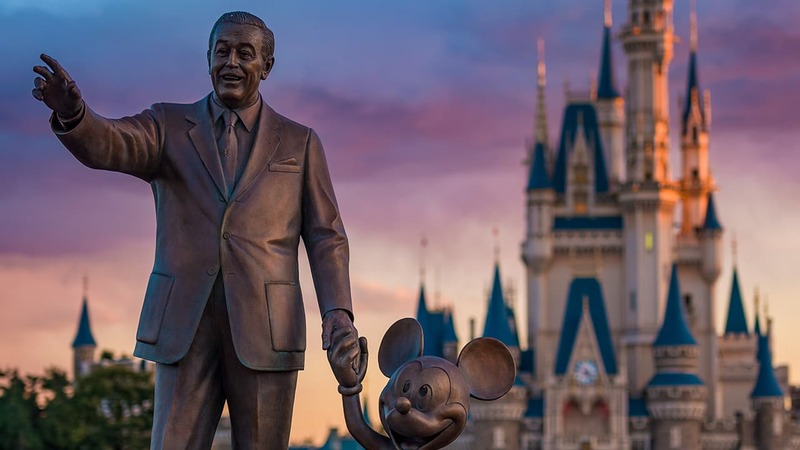 From New York City: Disney Magic sails four- and seven-night Canada cruises and five- and six-night Bermuda cruises departing Sept. 20 to Oct. 29. From San Diego, California: Disney Wonder sails two-, four- and five-night Baja cruises, a seven-night Mexican Riviera cruise and a 14-night Panama Canal cruise departing Sept. 14 to Oct. 19. 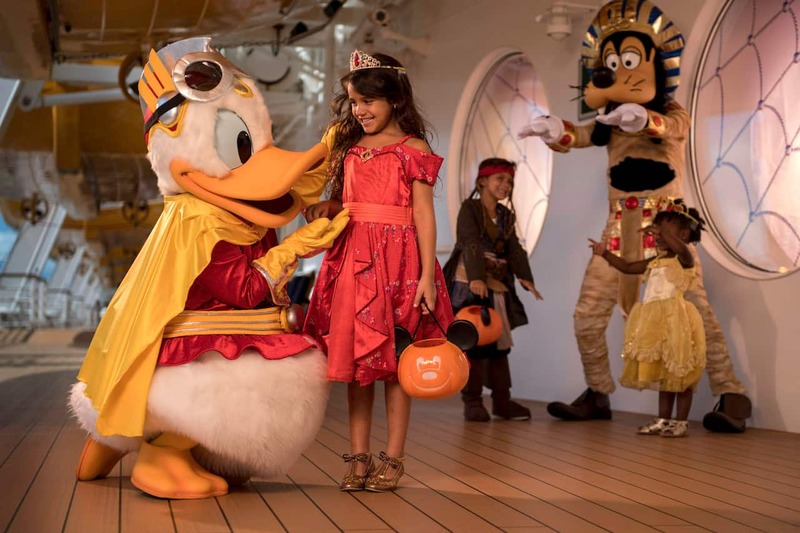 From Port Canaveral, Florida: Disney Fantasy sails seven-night Eastern and Western Caribbean cruises departing Sept. 1 to Oct. 27. Disney Dream sails three- and four-night Bahamian cruises departing Sept. 3 to Oct. 29. So, leave the scary movies and hayrides at home this fall and head for the open water — you won’t want to miss out on any of the delightful frights! 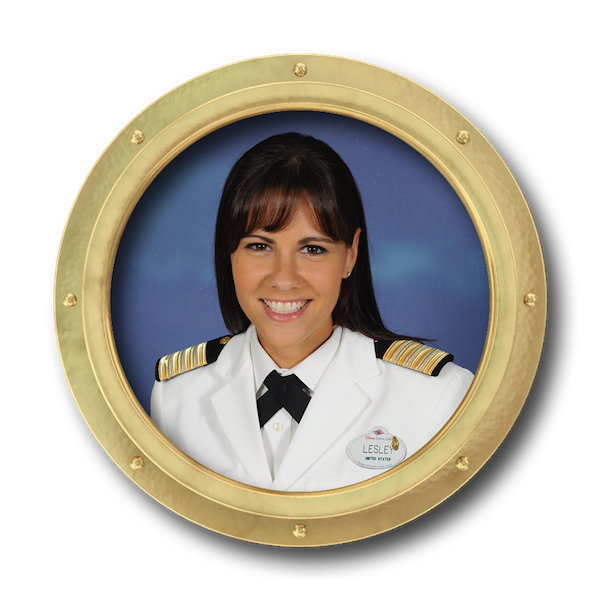 Hi Lesley, we’ve just booked our 3rd Disney cruise (we’re hooked – it’s amazing!) and are doing the round trip NYC Halloween cruise. I wondered what the sea/weather conditions are like at that time of year please; although I know you can never say for certain it would be good to know what to pack! We will have a great cruise no matter what the weather, I’m sure of that!